Most of you Snapchatters are going to be more active this coming summer – or on days you’re having a vacation. To make the most out of hit, I’ll provide you some pretty easy tips and tricks for you. Most of these are actually very basic but some are still unaware of it. 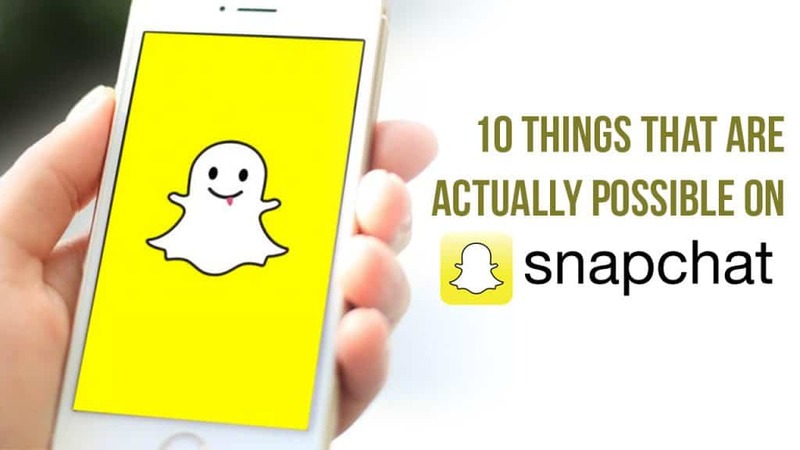 So, without further ado, read the 10 things that are actually possible on Snapchat. Level Up Your Game on Snapchat With These 10 Amazing Possibilities. Simply tap the color bar and move your finger around the screen. You will have access to more than the basic colors provided. Firstly, you have to use a transparent PNG, preferably 1080 x 1920 pixel dimension and should not be above 300 KB. For businesses, you have to pay to do this using a premium tool. Click here to learn how. Though, this is very common for some, others have no idea you can put time stamps, color, geofilters, and even video filter in on single snap. You just have to place one finger on the screen while you the other finger should swipe to add filters. This feature when turned on and used will stop stories from automatically loading when your device isn’t connected to a WiFi. You must still be quite unaware that the emojis besides a friend’s username has some significance. It provides you certain details which you can actually see and even change by simply going to settings and additional services. Surprisingly, you can simultaneously play songs while taking a video snap. In turn, it will very well record the song together with your video that many did not find possible on Snapchat. Another surprise that you will surely enjoy is the sticker feature on Snapchat. It is the only platform that can allow you to place a sticker on a moving object on video snaps. Just tap a sticker and hold it on top of an object until it is pinned. When the video plays, the sticker you just recently placed will follow along the object. You can actually pinch both text and stickers either to get them big or small – plus, you can rotate them to any angle, too. You can easily do this by swiping up from the bottom. It will show you the individuals that took a screenshot of your image(s) and also those who’ve simply viewed you. Thirsty for a party, why not just turn on location tracking and see the usernames that are near you in the add friends feature. The only thing possible on Snapchat that will certainly give you a great night. If you found this information useful, please share it with your friends & followers. Thank you!